The human skin is sensitive and it suffers from different problems from time to time. The dermatologists suggest different skin treatments to address such skin problems. The treatment for hyperpigmentation & acne treatment are two examples of such treatments. You might be worried about a skin problem if you are reading this. Please continue reading to know about the dermatologist treatments in Dubai. The skin goes through different changes with the passage of time. The natural aging process and gravity keep changing the skin. The problems such as skin sagging, fine lines, wrinkles, etc. are common in people all over the world. The dermatologists suggest that we can get rid of different skin problems by taking some advanced skin treatments. The safety of the skin is the key to a flawless and clear skin. The healthy way of living plays a big role in making the skin clear and healthy. Moreover, the skin must be kept away from the sun, pollution, and other harmful components. Eating healthy food is another way to keep the skin safe. Here are the dermatologist treatments for clear skin. The laser light is used here to fix the skin problems. This treatment is a replacement of older CO2 treatments. The fractional laser resurfacing is not painful, unlike the CO2 treatments. The recovery time is also short for this technique. What it is for: It is used to get rid of sun freckles. This technique can also remove the dead skin cells and lighten the skin. What happens: With the help of a hand-held device, the practitioner will expose the skin to the laser light. The patient may feel some heat but the topical anesthesia will help avoid the pain. What to expect: The healing process can take a few days. The maintenance and the downtime vary from person to person. The swelling and redness will subside after some time. It is different than the dermabrasion which is much painful and invasive. It involves spraying mineral crystals to gently exfoliate the skin. There is no downtime and there will be no pain. What it is for: This technique is good to treat the sun pigmentation. The treatment will smoothen the skin and even out the skin tone. What happens: The professional uses a device to spray crystals on the skin. The patient wears eye-cup protection while the practitioner moves a wand across the skin. The person may feel some burning sensation. What to expect: Some red lines may appear but they will fade within days. The skin will become much better and the results will last for some time. In this treatment, the professional applies chemical solution such as glycolic acid and fruit acids on the skin. What it is for: Most of the people can take it. What happens: The peels penetrate the skin by opening the pores and removing the impurities such as dead skin cells, excess oils, dirt, and bacteria. The topmost skin layer peels off and new layer grows in its place. What to expect: The person will feel mild pain and the downtime is negligible. The skin will become resurfaced and rejuvenated. 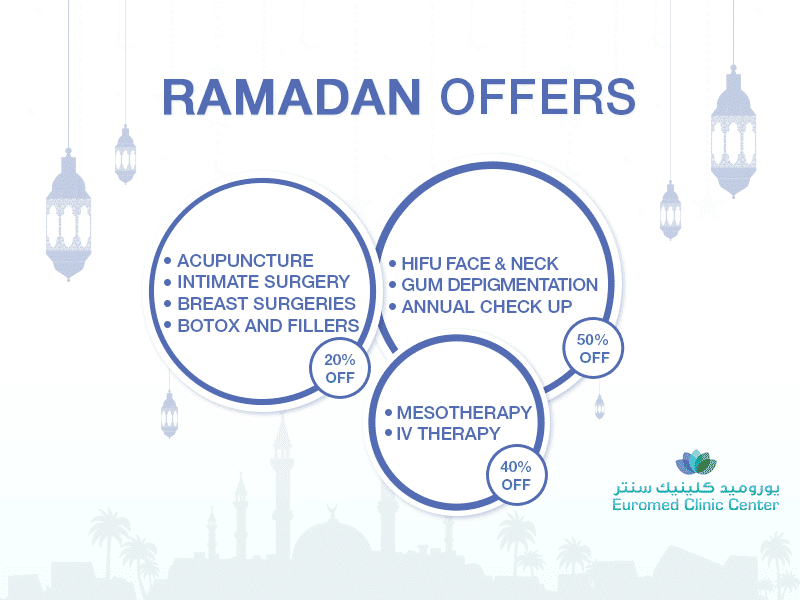 If you are crazy about the flawless and younger skin, the Euromed Clinic Center Dubai has different skin treatments to solve your skin problems. You can book an appointment if you want to have a checkup. Please call us or fill the short online form to book an appointment. How Does Liquid Facelift Works?